20. Recognize Cause and Effect Wildfires like the one in Yellowstone National Park in 1988, cause many changes to the land. Determine the effect of a fire on an area that has reached its climax community. 21. Oral Presentation Research a biome not in this chapter. 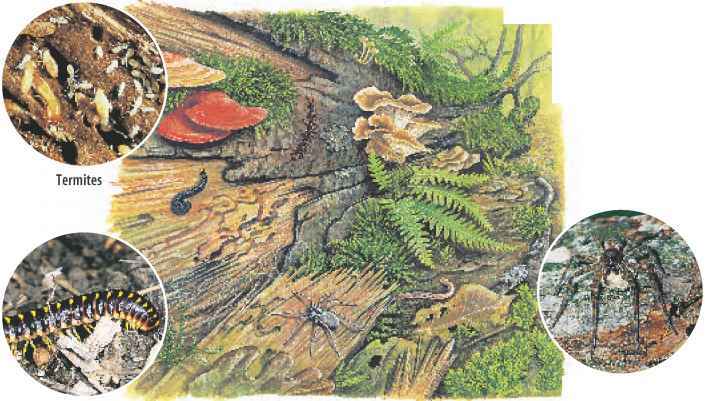 Find out about its climate and location, and which organisms live there. Present this information to your class. Use the table below to answer question 22.